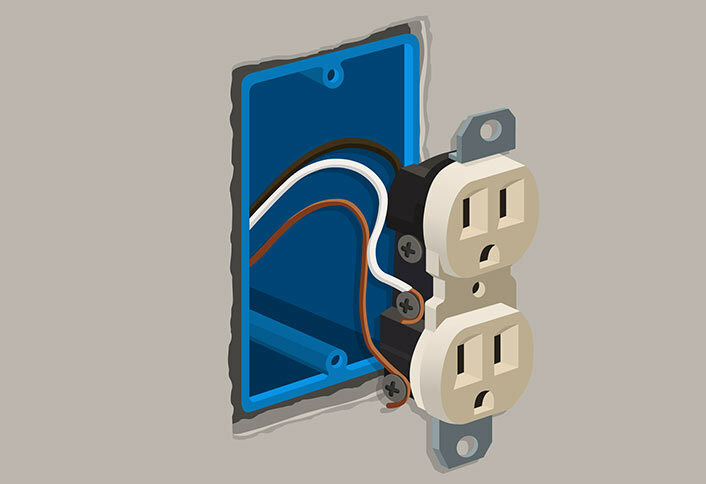 Remodeling boxes, also called old-work boxes, are electrical boxes designed to be installed after drywall has been hung. For example, you would install a remodeling box if you need an additional outlet for a home office or theater. In contrast to new-work boxes, which are screwed to the wall studs before drywall is hung, old-work boxes hang on the drywall with clamps built in to the box. Installing a remodeling box is something you can easily do with just a few tools. 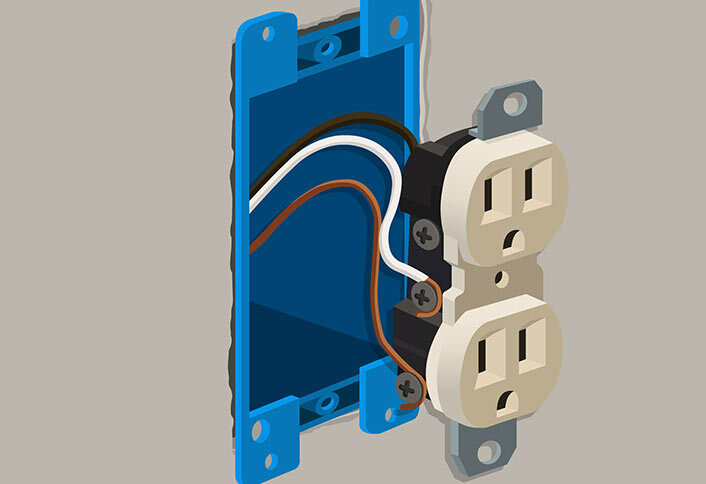 This project guide will walk you step-by-step through the process of installing a plastic remodeling box in drywall for a new outlet, including running wiring from an existing outlet to power the new one. 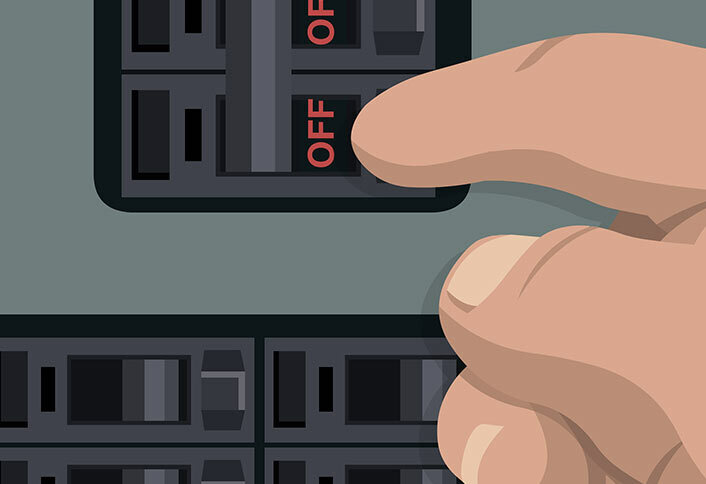 Turn off power at the circuit breaker panel box. 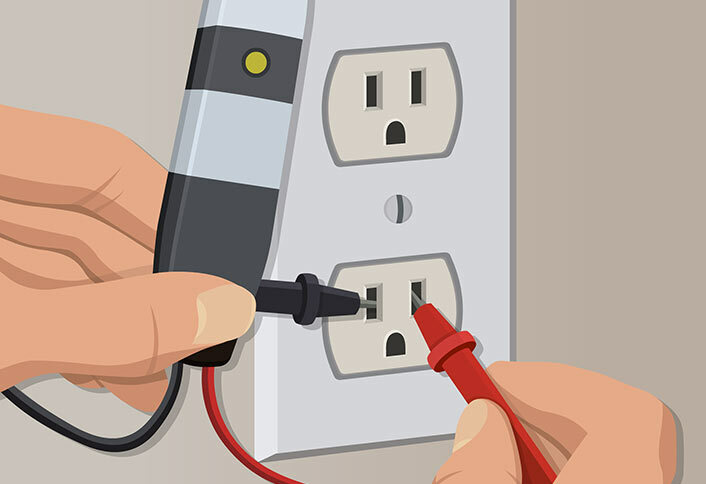 Use a voltage tester to ensure power is off at the outlet. Hold the remodeling box up to the drywall where it will be installed. Use a stud finder to ensure you don’t install a remodeling box adjacent to a stud or pipes. Trace around the box with a pencil to mark the area to be cut. 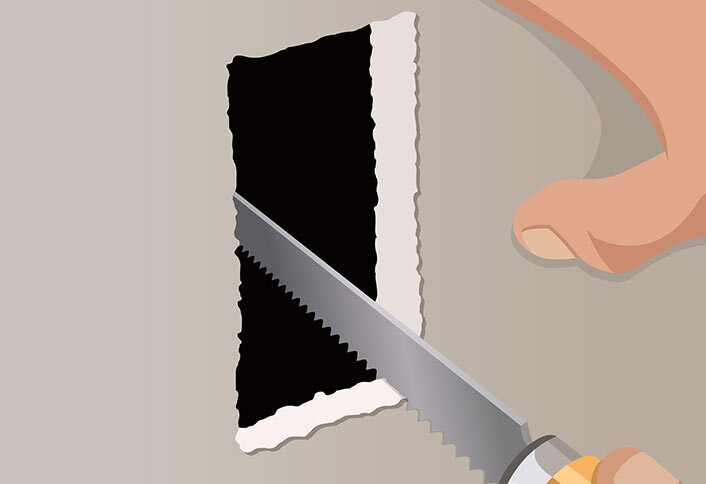 Use a utility knife to score the drywall paper along the outline of the box. Use the drywall saw to carefully cut out the hole. Go slowly to ensure you don’t cut any wires behind the wall. Push the remodeling box into the hole for a test fit. It should fit snugly, but you shouldn’t have to force it. Using a voltage tester, ensure the power is cut off at the electrical outlet from which you will draw power. Unscrew the faceplate from the old outlet. Pull the outlet away from the box. Use a screwdriver to knock a hole in the back of the old box, at one of the knockouts. 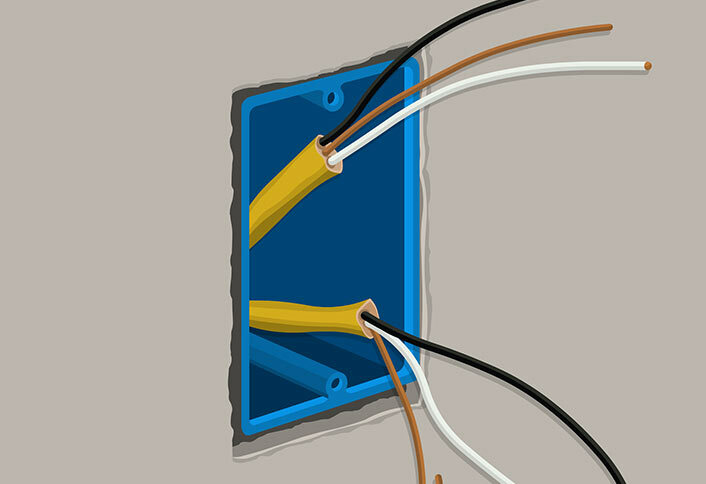 Feed the wiring through the hole in the box and out the other side of the wall. Use the wire strippers to strip 5/8 inches of insulation off each end of each wire. 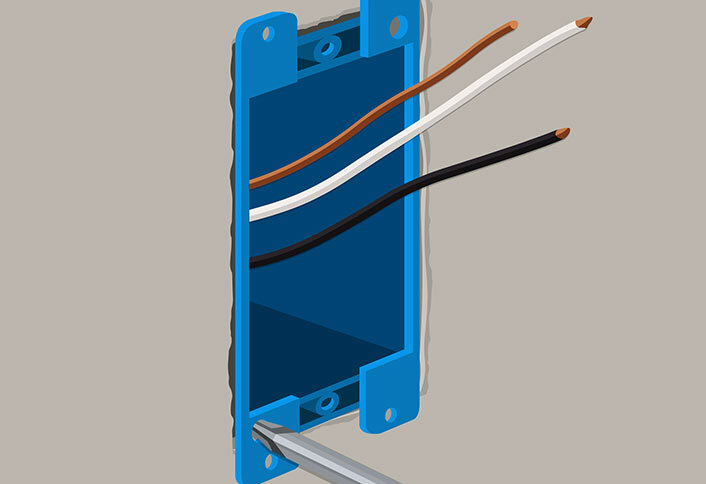 Using new wire connectors, connect the wires from the cable to the existing wiring. Connect white to white, black to black and ground to ground. Pull the new cable through the hole in the wall where the new outlet will be located. Strip about 10 inches of sheathing off the cable. Insert the wires through the hole in the back of the remodeling box. Insert the box into the hole. 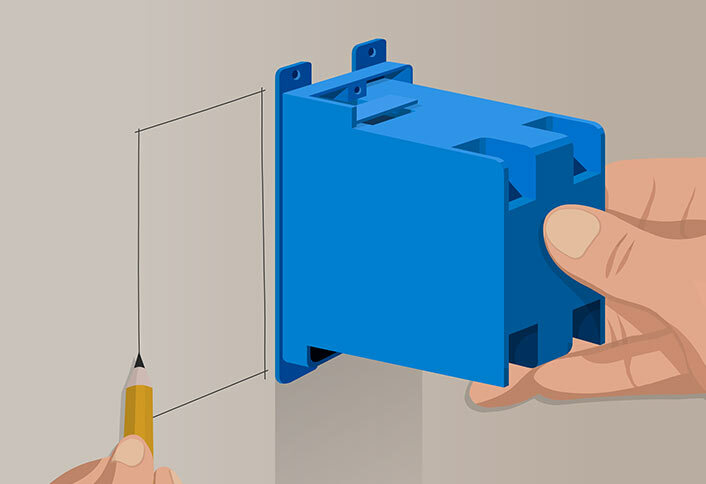 Screw down the clamping tabs carefully until the box is tight against the wall. 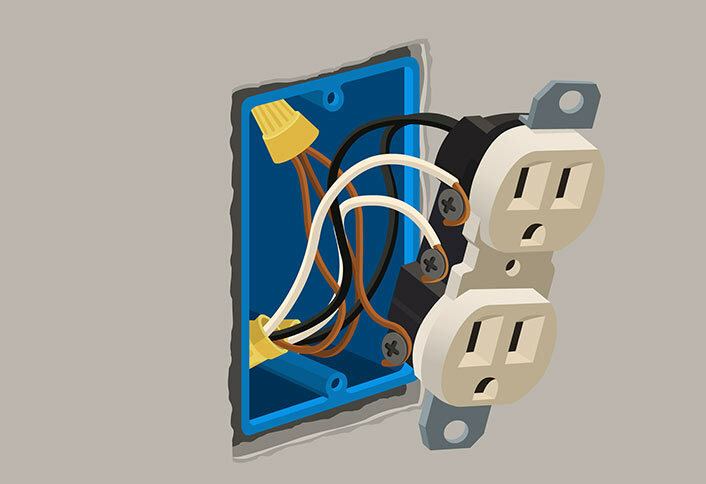 Attach the wires to the new outlet and connect the white wire to a silver terminal screw, black wire to a brass terminal screw and bare copper wire to the green grounding screw. Screw the outlet into the box. Turn the power back on and test the new outlet.